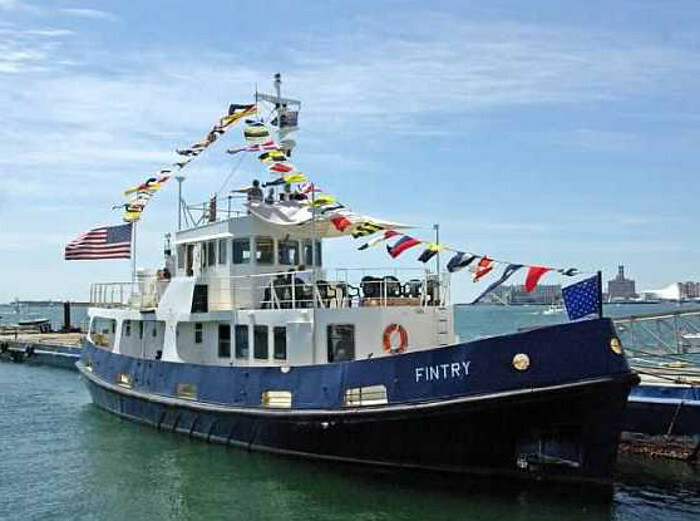 The motor vessel Fintry is one of sixty-four Fleet Tenders built for the British Royal Navy from 1963 through 1982 on the same 79' hull. Although they had four different deckhouse configurations, their hulls and machinery were identical. In their original configuration, they could carry 110 passengers or 25 tons of cargo in two holds and on deck. They had a Lloyds 100A1 classification (the highest possible) for operations from the Elbe to Brest, which includes the North Sea and the English Channel, some of the nastiest waters in the world. 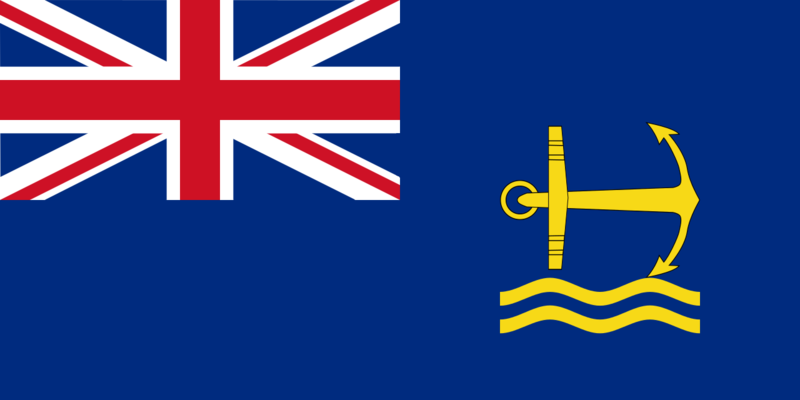 They were first used to carry crew and supplies out to naval vessels at anchor or on moorings. 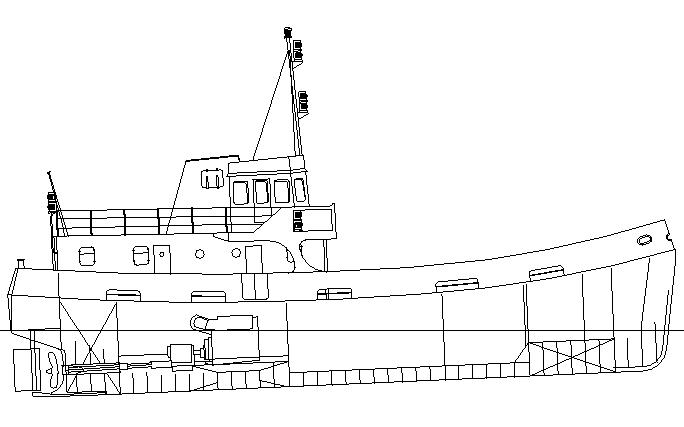 Later versions were used for training and five were built as diving vessels. 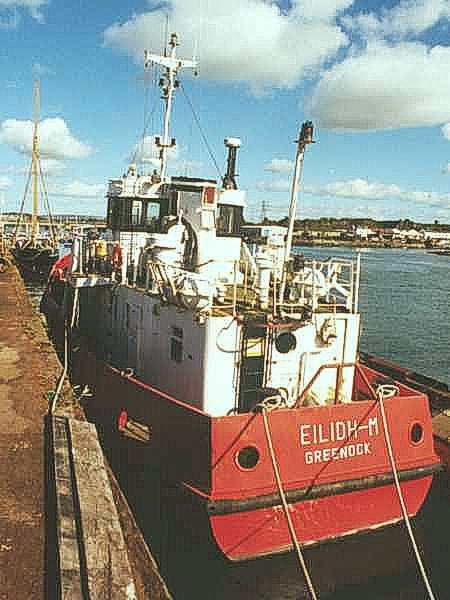 Most of them were operated by the Royal Maritime Auxiliary Service, which in the seventies and eighties operated more than 500 smaller unarmed craft. 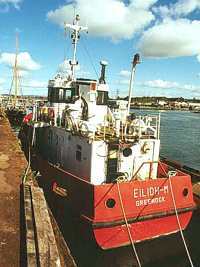 Fintry was built by John Lewis & Sons, Ltd. in Aberdeen, begun in 1970 and commissioned in 1972. Lewis also built Cromarty, Dornoch, and Grasmere at the same time; their drawings and specifications show that they were close to identical. As originally built, the deckhouse was entirely aft of the center, with a Captain's cabin starboard forward, a bunk room for four seamen aft, a good sized galley and dining area in the middle, and one head for Captain and crew. There was also a separate head, accessible only from the starboard side deck, for passengers. There was a large hatch in the main deck into the main hold and a smaller hatch into the forward hold. 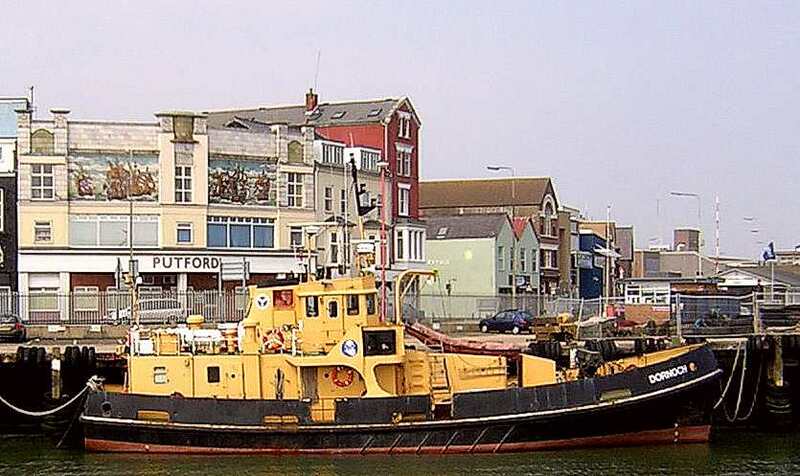 She was sold out of Navy service in 2001 and spent a year at a berth in Plymouth due to a change in her new owner's plans. We bought her in December of 2002 and have converted her into an expedition yacht which is based in Boston. She can go anywhere in the world, although not at any time of year. Many more details on the conversion are at Fintry's Conversion.